Who doesn’t love a lovely new bottle of perfume and Monsoon & Accessorize have launched their new signature scents. 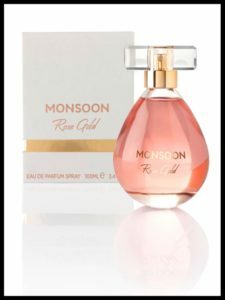 Rose Gold is a very feminine and glamorous start to Monsoon’s perfume range. It is a very warm romantic floral fragrance with top notes of sparkling lemon, soft fruits and ozonic scents are layered with velvety rose, tuberose, neroli and cyclamen and underpinned with base notes of Eastern woods, vanilla, mosses, musk and balsamic amber. At first I found it very musky but does settle to a sweet fragrance and has long lasting staying power. It definitely is a perfume that you do not need to keep spraying throughout the day and a few spritzes will see you through to the evening. 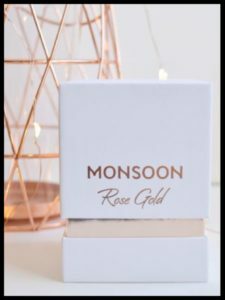 The Rose Gold perfume comes in stunning packaging with a very luxurious feel to it with the white and rose gold box and the bottle itself is designed with a gold rose sprayer it is a beautifully designed bottle. Personally I did find it was a very strong elegant sensuous scent which I don’t think would be for girls but perfect for a mature woman or someone who loves a strong musky perfume. 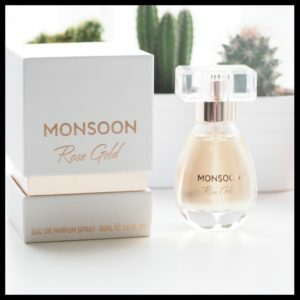 Available from Monsoon online and in store in 30ml £24 and 100mls £35. Love Lily is the fun sweet and vibrant fragrance from Accessorize which features notes of raspberry, orange, jasmine and sweet vanilla. The perfume comes in a striking clear hexagonal bottle with flower cap and stopper which would look incredible on any dressing table. 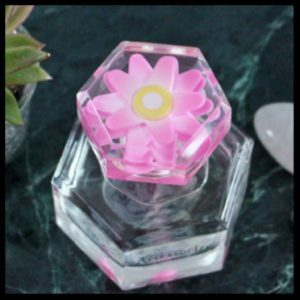 It comes in a beautiful vibrant shade of pink with petals and leaves. 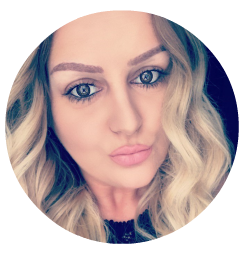 At first spray the fragrance is very sharp and fruity and very sweet but softens to a lovely fresh floral scent and very wearable. This particular perfume is definitely aimed at a much younger market particularly teens and young women and perfect for day or night. It does not have the staying power of the Rose Gold perfume but the fragrance does last around 3-4 hours of wear. 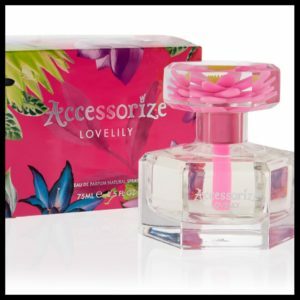 Available in 75ml for £19 from Accessorize website and in store.